Alright guys, confession time. 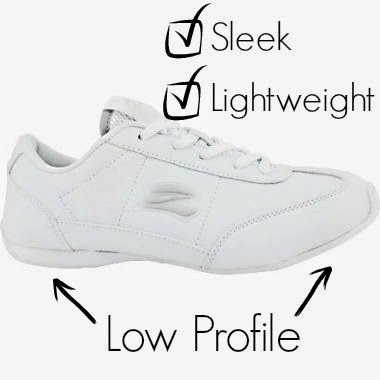 With all the excitement about the Nfinity Champions League we got a little distracted from giving you guys the inside scoop on the new shoe releases for 2014. But we’re finally done slacking! Promise! So hopefully you’ve all seen the first review we did on the Asics Cheer 7. 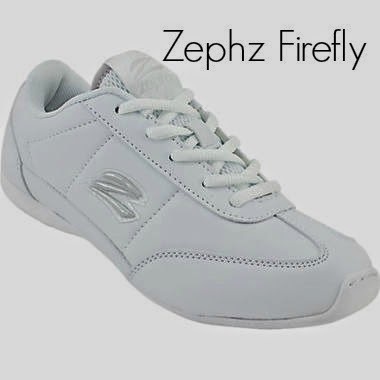 So next up on our list for our 2014 Shoe Review Series is the Zephz Firefly. Zephz has always been known for making solid, durable, and extremely lightweight shoes. Zephz has not let us down with the new Firefly. Seriously sleek, low profile, and lightweight. This extremely versatile shoe is great because it can be worn both indoors and outdoors so you won’t have to worry about them holding up through all of your practices, games, and competitions. 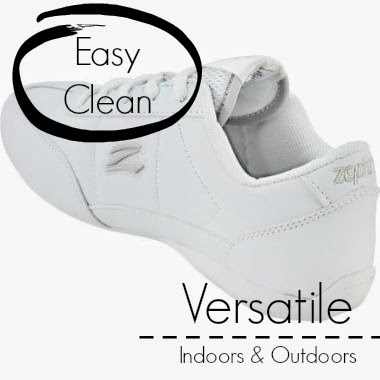 With wearing them both indoors and outdoors, you obviously want to make sure that they stay nice and white, right? Zephtex synthetic leather is the answer making them extremely easy to clean. Most dirt will wipe clean with some warm water and soap. They’ve added their zephzlite heel wedge to provide a ton of extra cushion for your comfort. The heel wedge is paired with the stunt heel which will allow for better grip and control during those challenging stunts. Perfect combination of the two, right?! Add in the rubber sole with a turbo dry lining to help keep your feet dry and you’ve got a great shoe. As far as sizing goes for the Zephz Firefly, it does fit a little on the small side. Therefore we recommend buying a half size bigger for Women’s sizes and a full size bigger for Kids. They have a nice balance when it comes to width that will fit most feet. Please keep in mind that everyone’s foot is different and therefore we cannot guarantee fit. What do you think of the Zephz Firefly? Still need more choices? We’ve got the Asics Tumblina next on our list to review for you so be on the lookout! If you need help ordering give us a call at 877-200-4944 or email us at customerservice@cheerandpom.com. We’d love to help you out with your decision! Great post! Nice shoes. A comfortable shoes though? That is amazing. You have a great blog!! loved this post . 2014 new shoes.Good article, thank you for sharing!